Public Service Announcement regarding my blog’s blue words. You’ll feel like a little kid on Christmas. Or if you’re from Europe, like a child on St. Nicholas Day, just like me this morning. 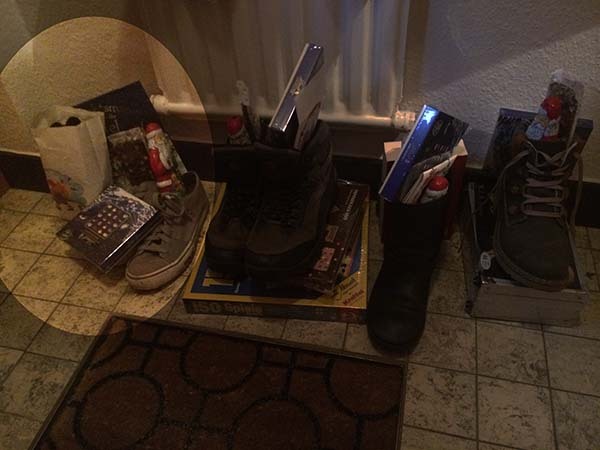 Keeping with German tradition, where children’s winter boots are left near the doorway on the night before St. Nicholas day, I left my shoes in our house’s foyer, anticipating the coming of St. Nicholas during the night. Magically, when I awoke this morning, my shoes (grey, crappily pictured here) were full of goodies! 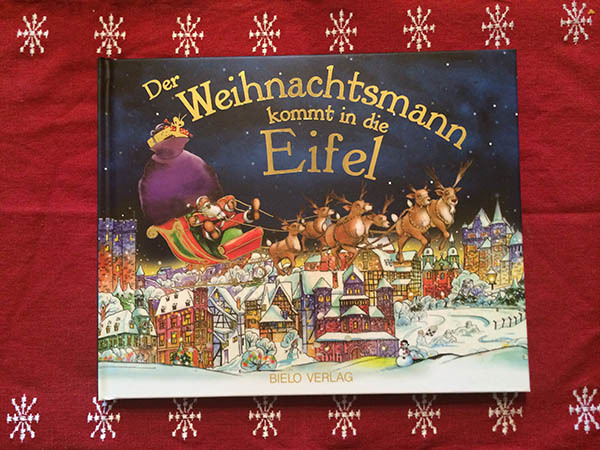 Along with chocolate (German chocolate is something that I will dearly miss upon my return to the Western Hemisphere) and some other goodies, St. Nicholas left a book telling all about his gift giving journey throughout the Eifel. I have more reading to do! Andrew has a love for travel, computers and technology, photography, history, politics, and other related areas. 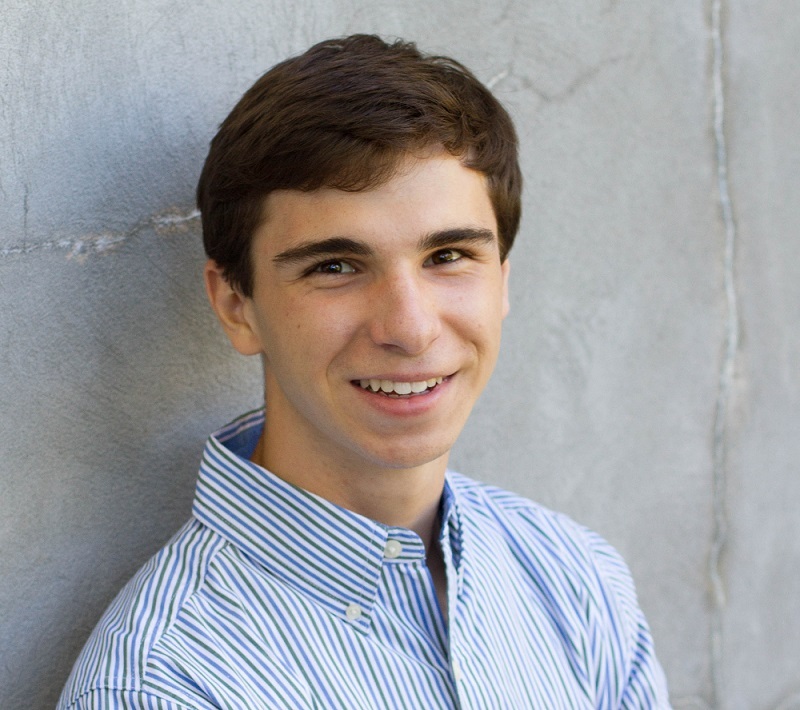 After sitting for his International Baccalaureate Diplomma Programme exams, Andrew graduated from Bloomfield Hills High School in June of 2014. Before heading off to join Kalamazoo College's Class of 2019, Andrew spent a year in Germany as a foreign exchange student with YFU under the joint U.S. State Department and German Bundestag CBYX/PPP scholarship. Copyright ©. All Rights Reserved. Feel free to contact me if you would like to use content from this site. Made pretty by Site5 WordPress Themes. Special thanks to all those who have made this site possible.